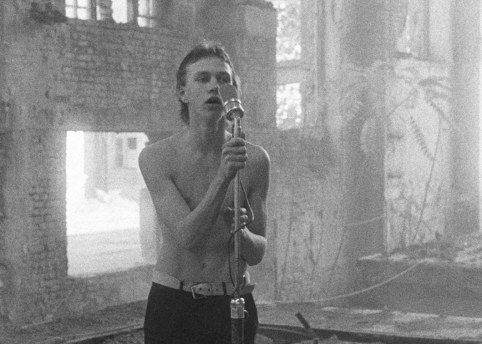 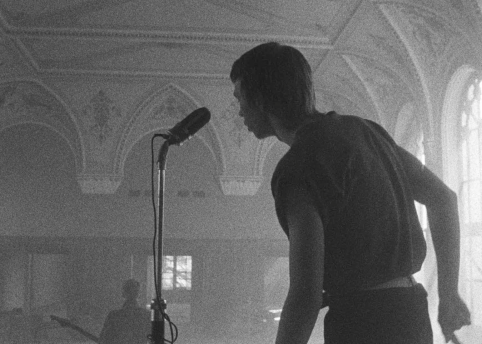 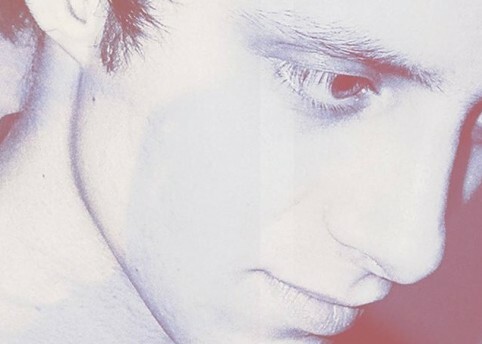 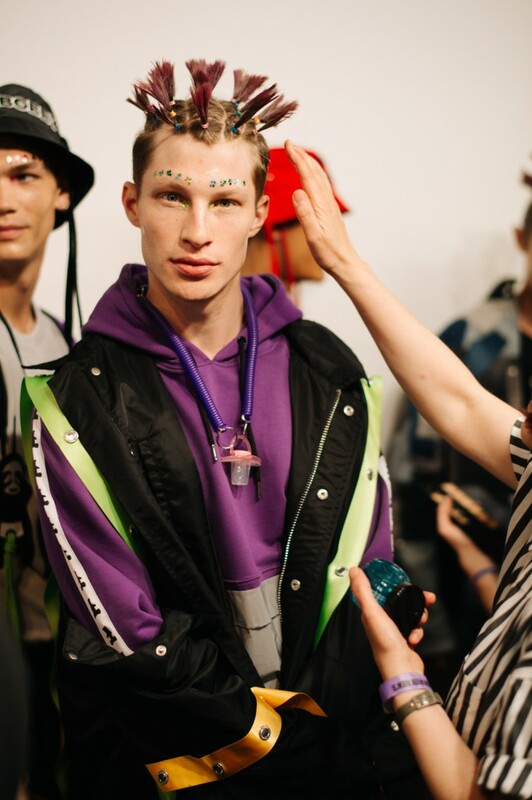 At fashion week we talk a lot about the clothes, the soundtracks, the sets and, of course, the designers. 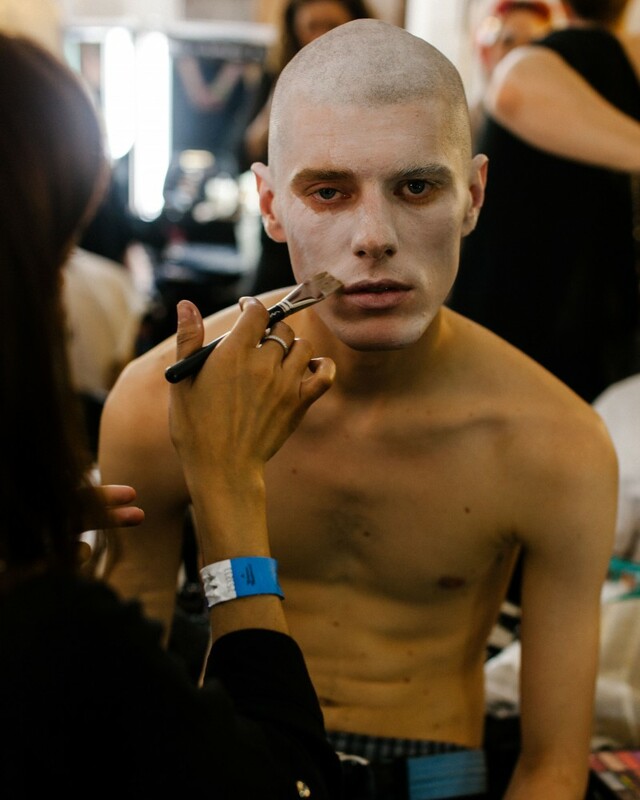 But without the work that goes into models’ hair and make up, a show is like a story with a few chapters missing. 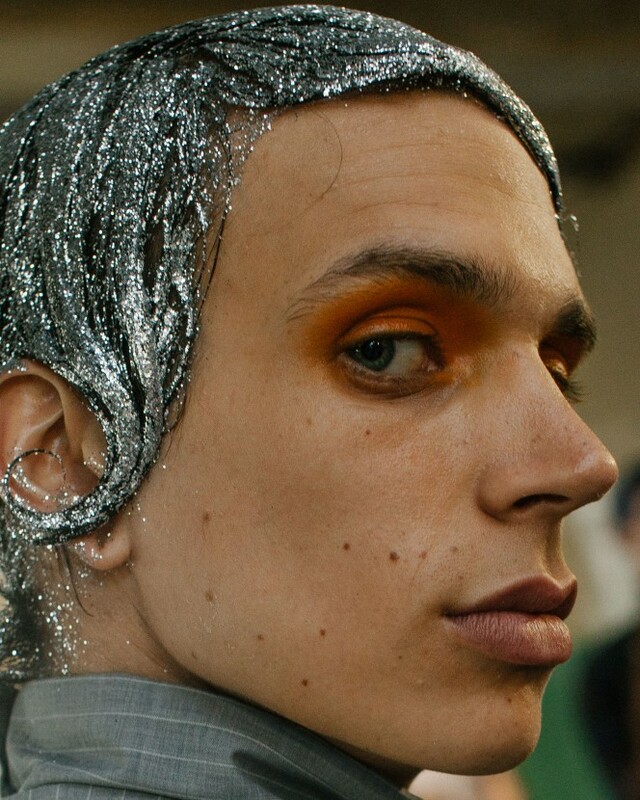 For SS18, London Fashion Week Men’s saw some major hair and make up looks. 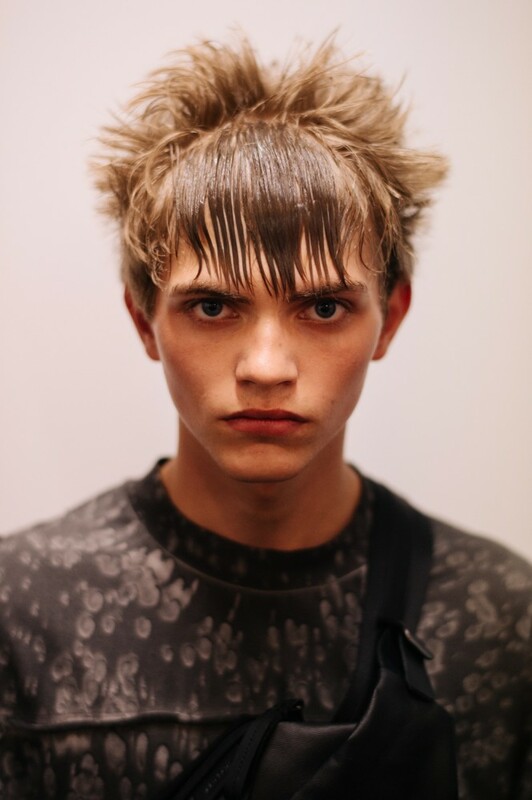 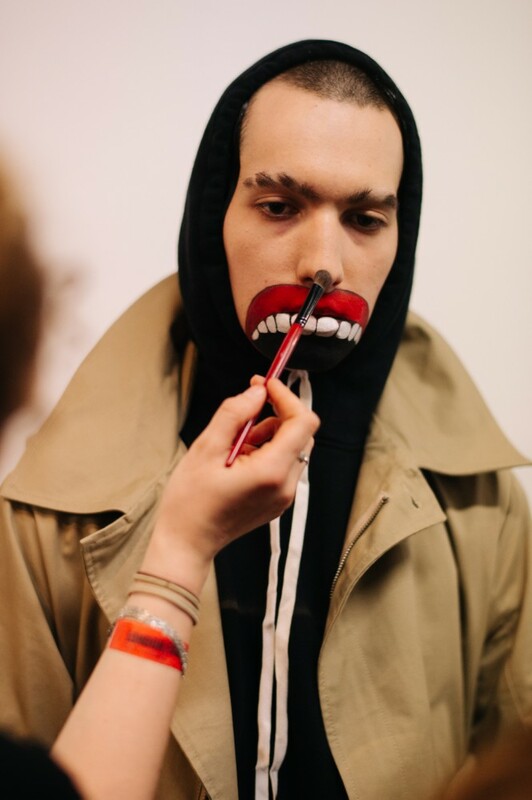 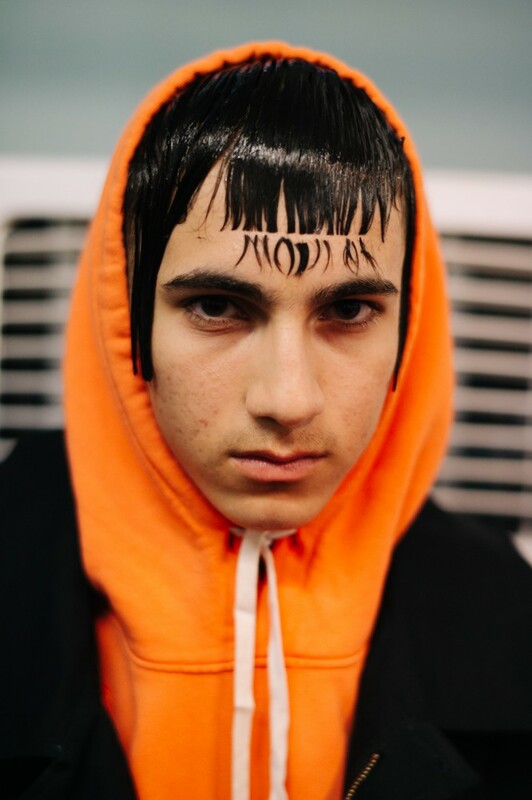 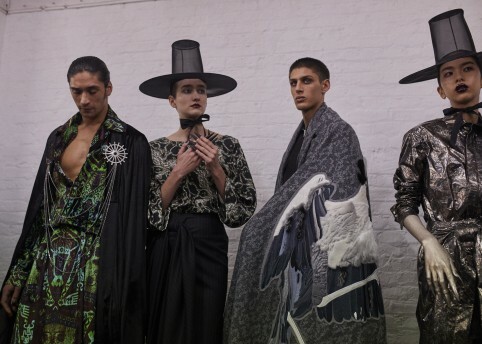 At Liam Hodges, creepy face paint and snipped-and-gelled fringes finessed the designer’s grunge-fuelled comment on our noisy society. 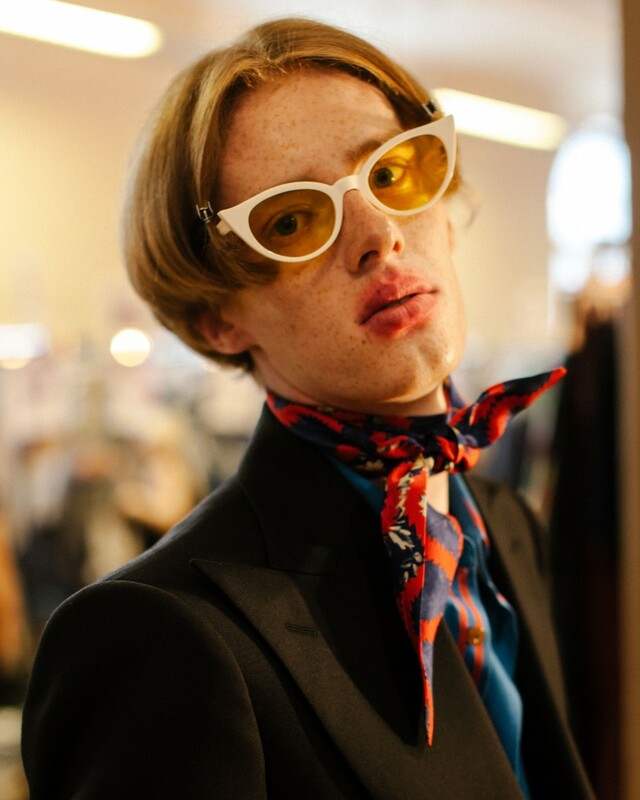 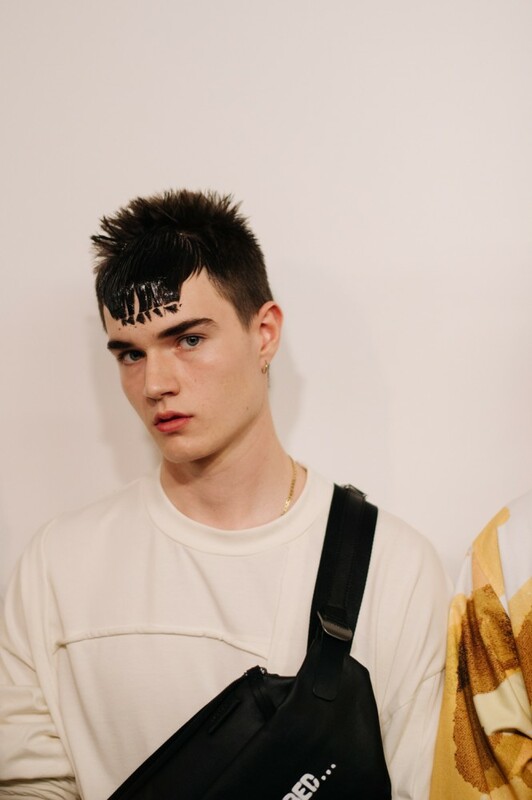 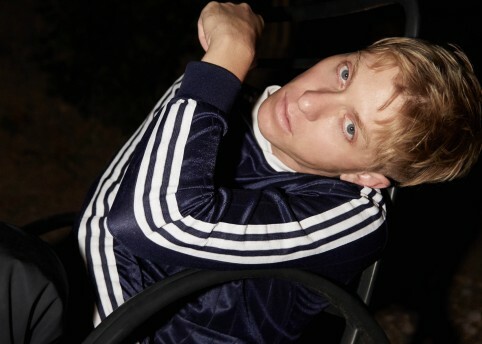 At Topman Design, glittered hair and gold eyes spoke of its 80s club kid influence. 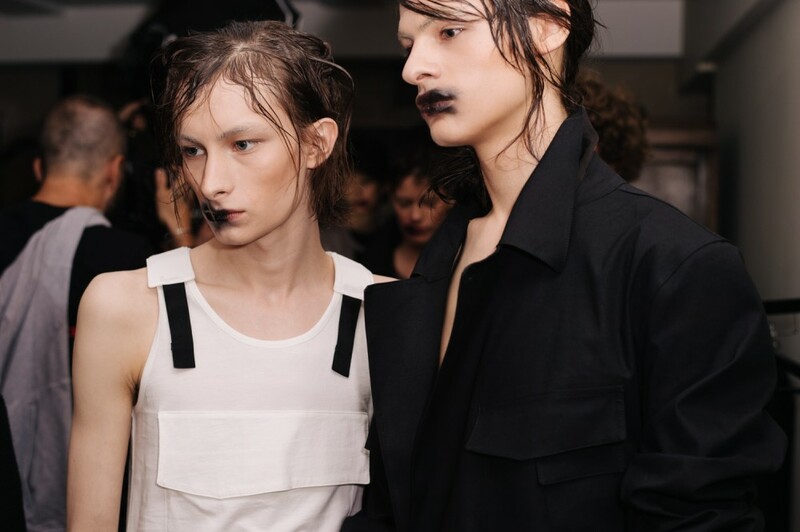 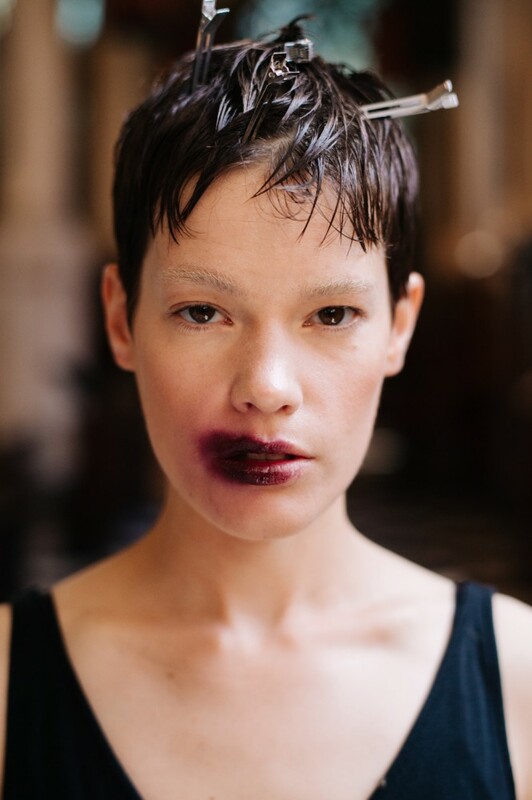 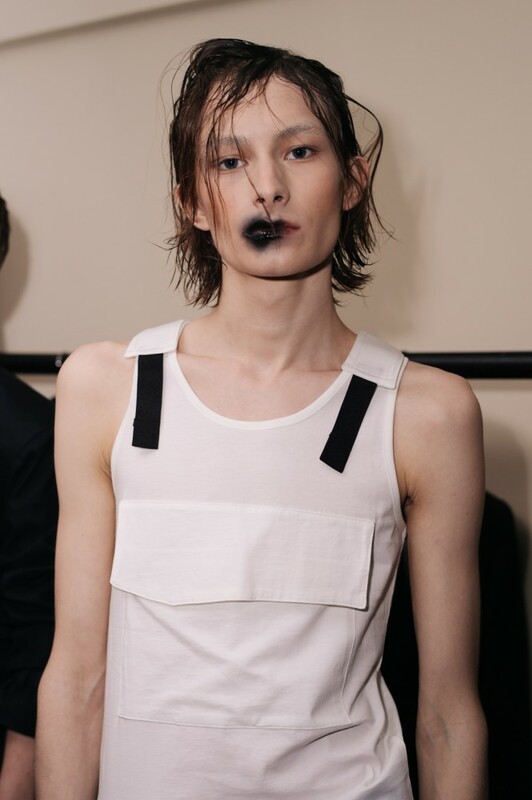 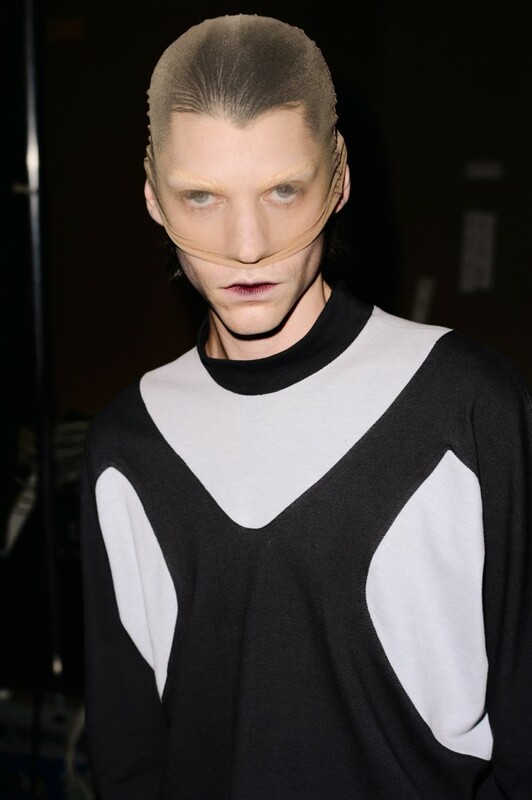 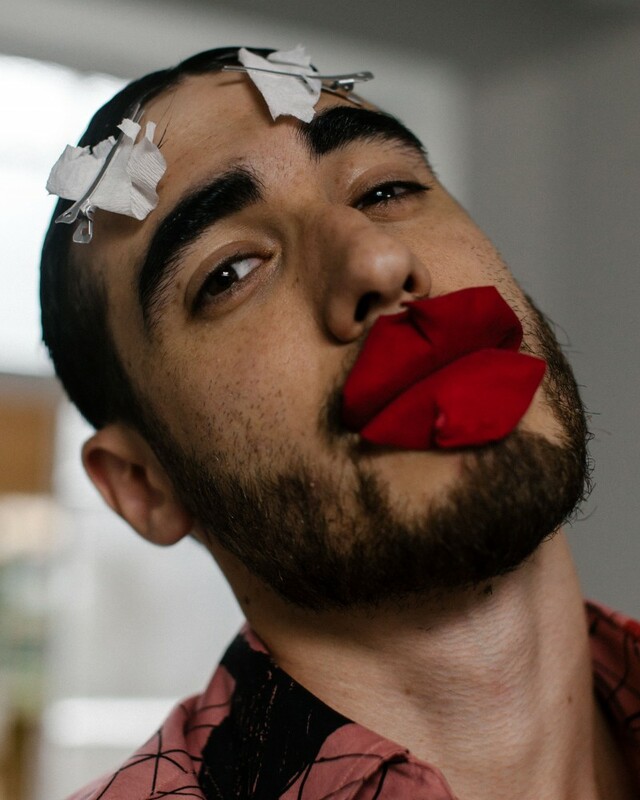 Dark lips were the go at Matthew Miller and Kiko Kostadinov: the former’s dark smeared lips giving the dramatic look of a degenerates; the latter enveloping rakish veiled models with a sinister air. 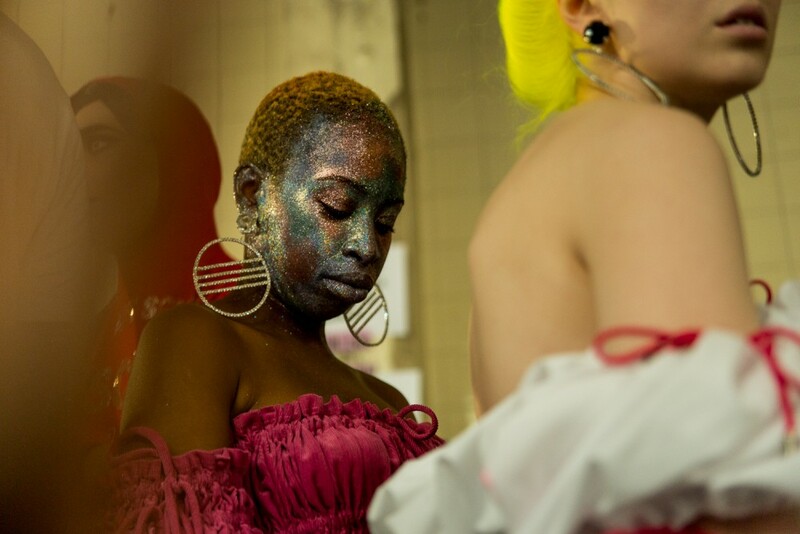 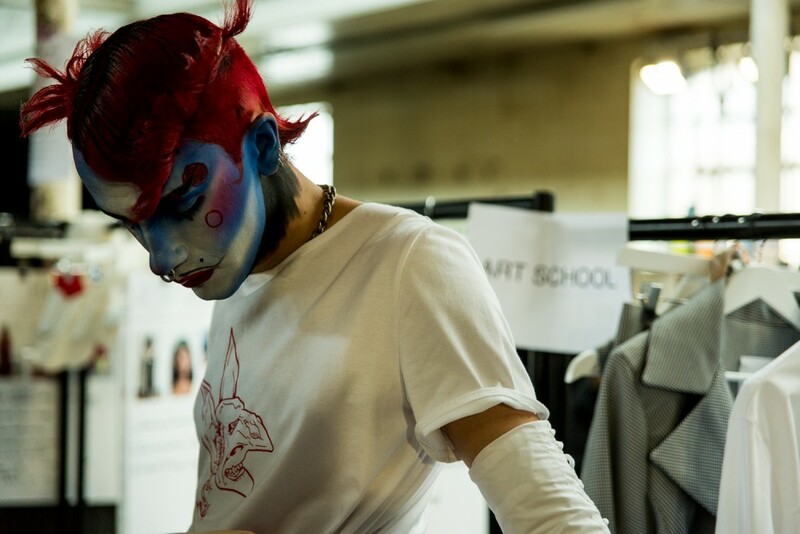 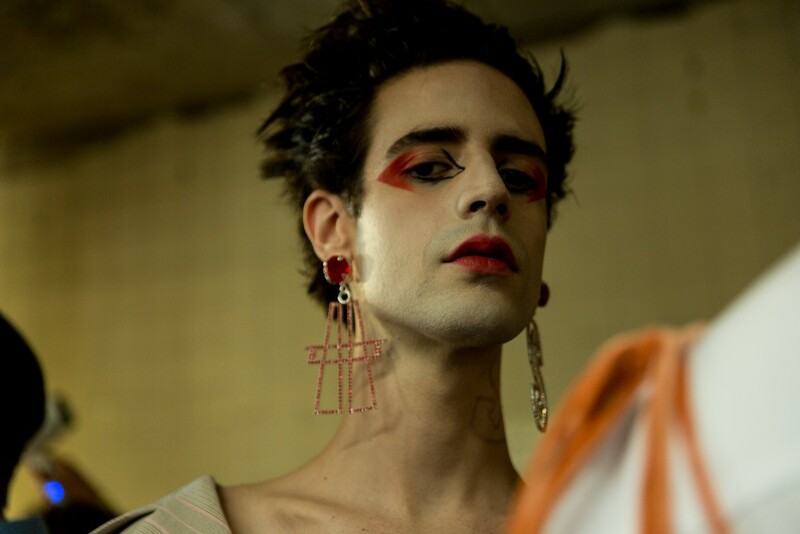 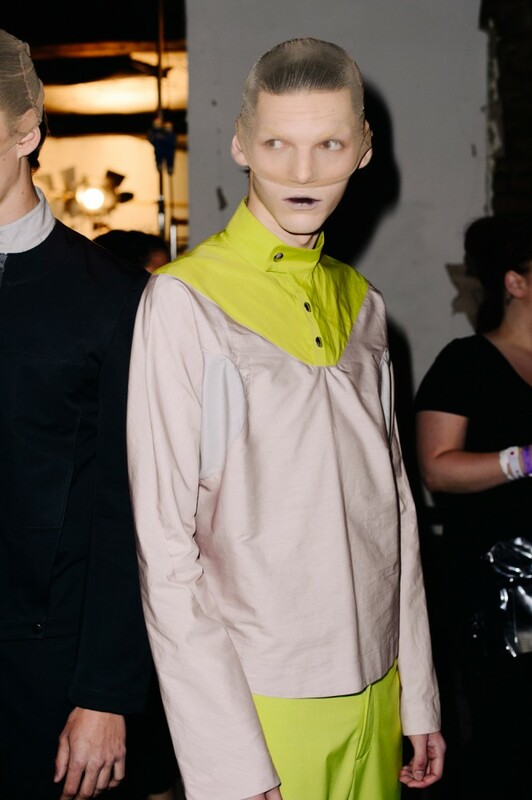 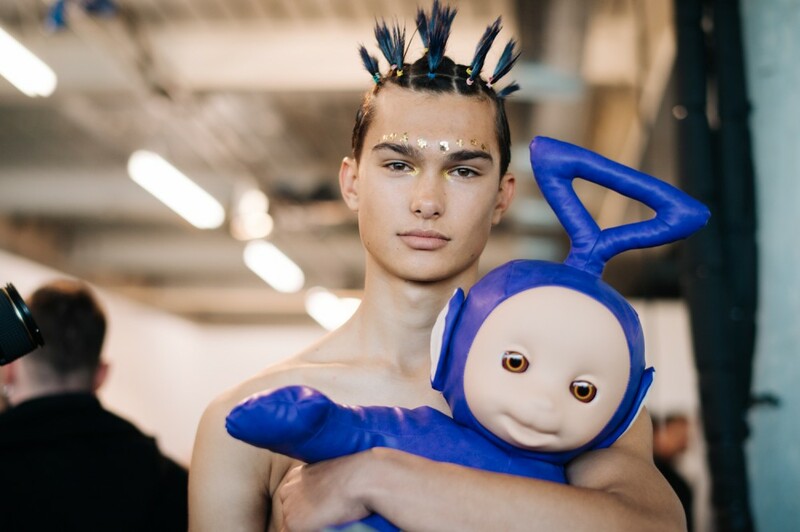 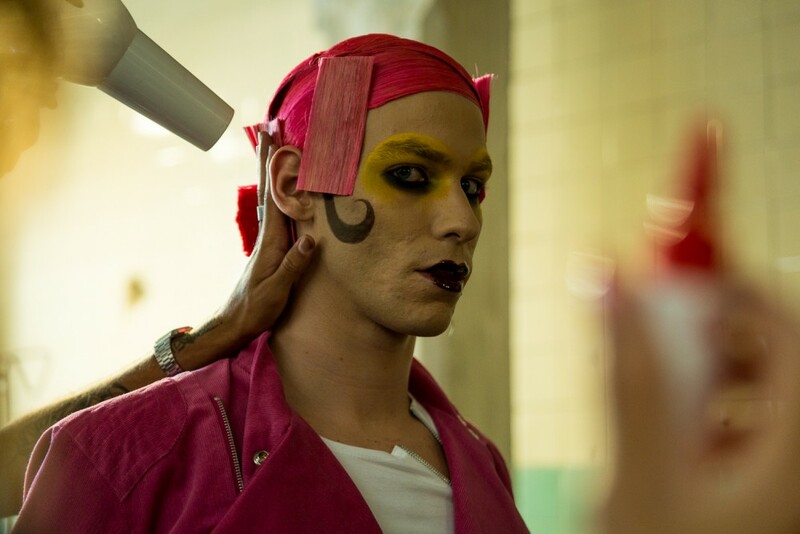 At Charles Jeffrey and Art School on Saturday it was all about face paint, supporting their unbridled celebrations of queerness and youthful hedonism. 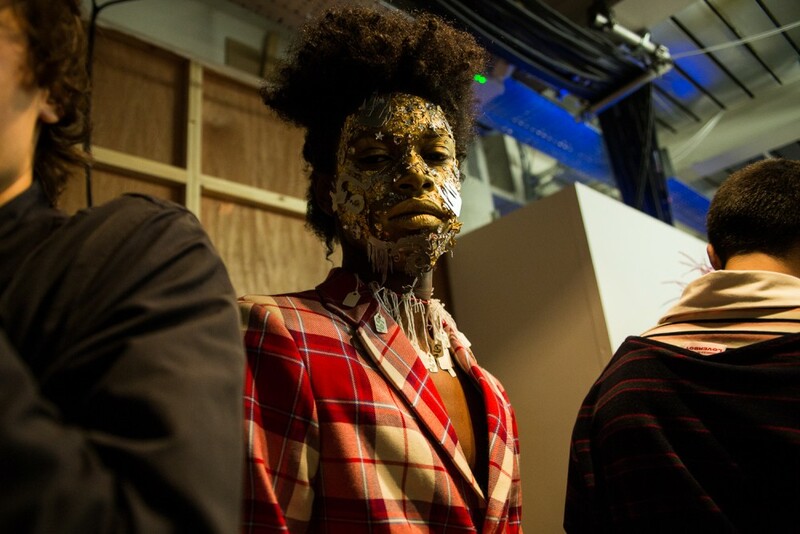 And on the final day at Vivienne Westwood, a politically-charged circus theme gave way to all kinds of weird and wonderful looks, from mega petalled mouths to strong man make-up. 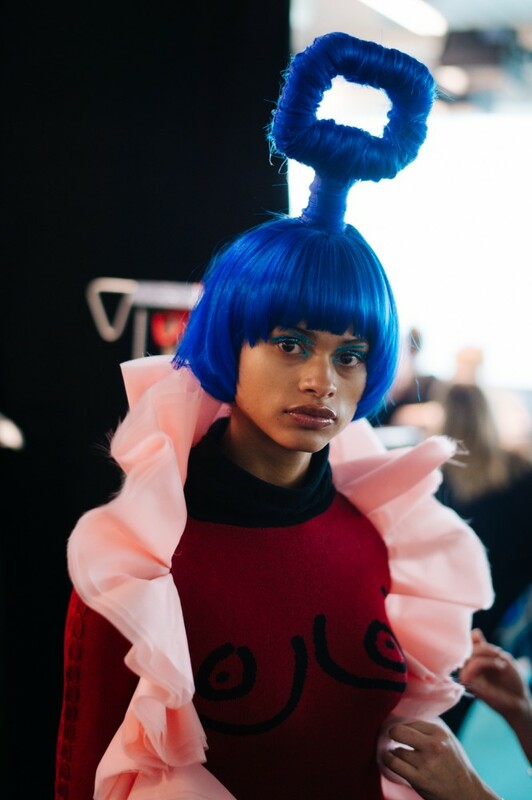 Here, we take you through all these and more – our favourite hair and make-up looks of London, SS18. 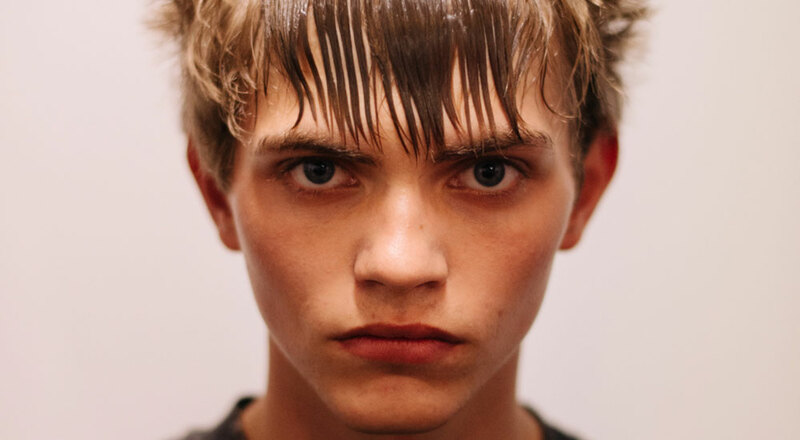 Stay tuned to our fashion week coverage, from London, Milan, Paris and New York.